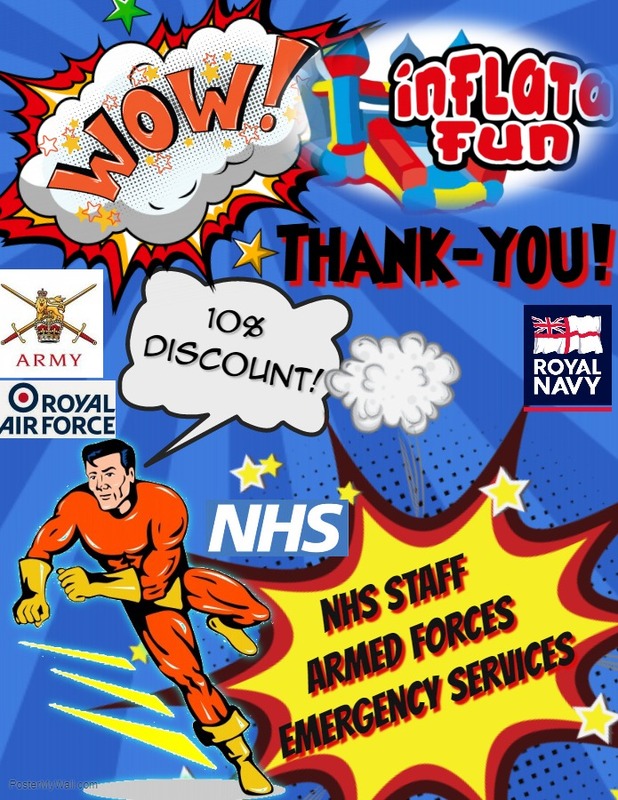 At Inflata-Fun we support all the hard work of the Armed forces, NHS staff and Emergency services. Just show us your ID card and have 10% off your booking on us for doing what you do. You all do such a great job so Thank you!